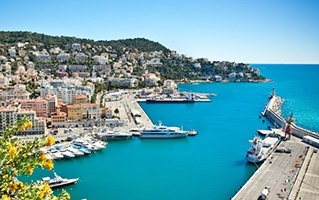 Nice is situated on the French Riviera. Avenue Gustave V De Suede is a popular street located in the Chaillot neighbourhood here. The region is renowned for its beautiful attractions. The scenic locales here can well be explored in a personal vehicle. You can also opt for car hire at Avenue Gustave V De Suede with us. Pick the car of your choice and travel as per your own comfort.